The cliche is that “one man’s trash is another man’s treasure” but the author of that phrase probably never realized how strangely true it could turn out to be in the form of artistic upcycling. 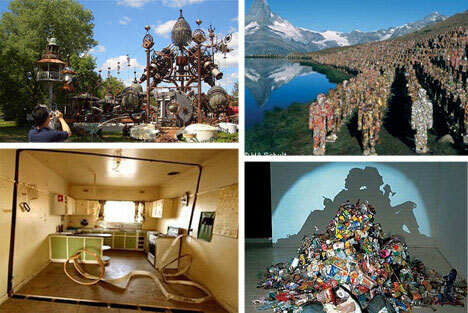 In today’s world of weird and amazing art some of the most compelling and creative works have been born out of the simplest and most abundant of materials: garbage. These seven trash-obsessed artists may have had a similar starting point but have managed to create an inspiring variety of art from abandoned refuse. And see more under our collection of 70 Works of Recycled Art and Design. 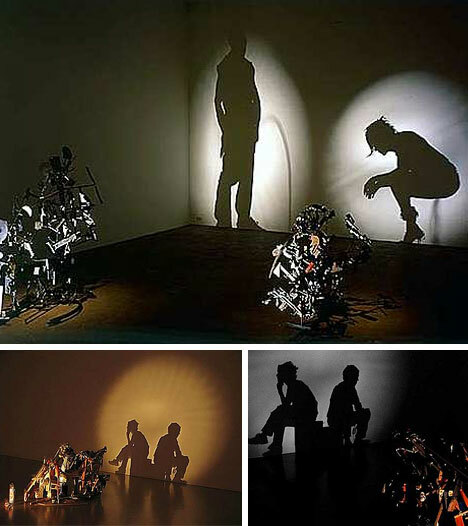 Tim Noble and Sue Webster are an incredible artistic duo based in England who have worked on a variety of related projects experimenting with trash and projected shadows. From looking at the rubbish they collect from the streets of London it is virtually impossible to determine a rhyme or reason to the apparent mess. However, once a projector is set up at just the right angle the art pops to life and animated shades are created with crisp and clear outlines delineating the controlled forms hidden with chaos. 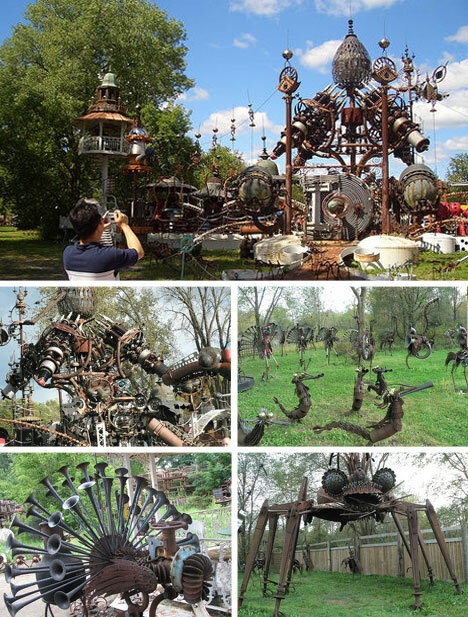 Dr. Evermor‘s Forevertron (previously featured as a work of insane architectural genius) has elements of trash dating back to Thomas Edison and the Apollo space missions. 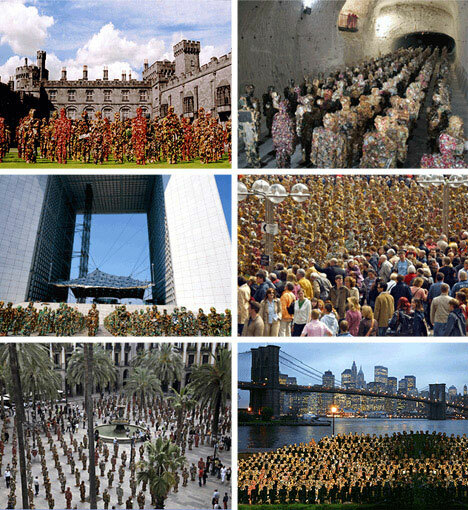 These are combined to create one of the most amazing metal sculpture parks in the world – which also features the world’s largest metal sculpture (120 feet by 60 feet and 50 feet tall, weighing 320 tons). It should come as no surprise that, prior to retirement, this eccentric artist was a professional wrecking and salvage expert. 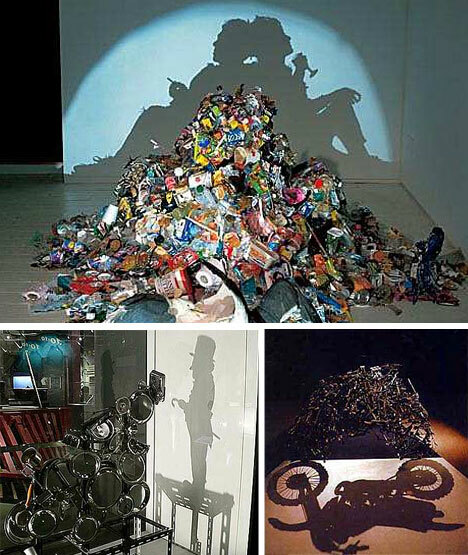 Of course using trash as a basis for art doesn’t have to mean creating works from the objects themselves. 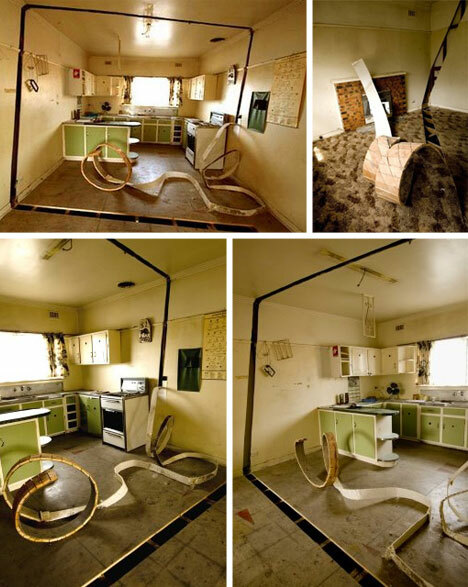 An additive approach can also work as in the graffitied pieces of furniture shown above. 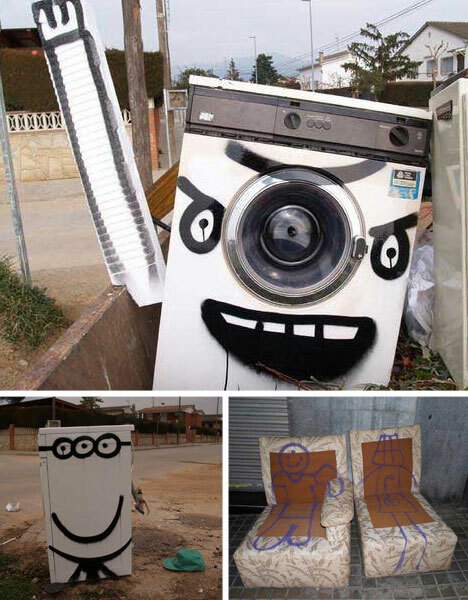 In fact, the Wooster Collective encourages you to graffiti the urban objects around you and turn your own local trash into art (see the link above for more information). 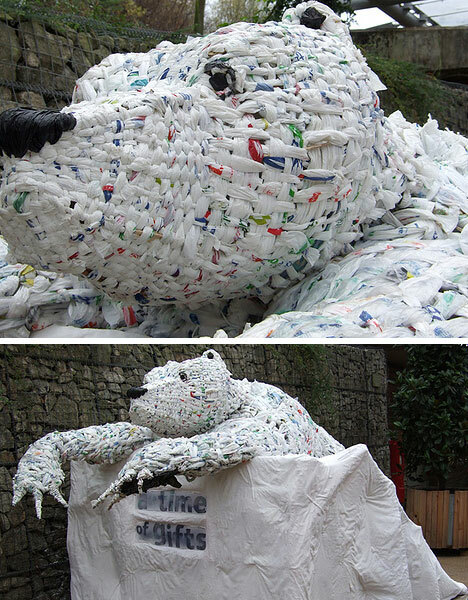 The above trash sculpture was created from recycled carrier bags as part of the Eden Project near Cornwall. 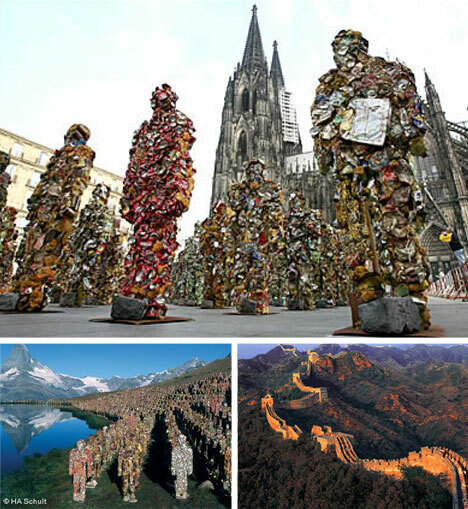 Of course, trash ‘art’ isn’t limited to strange sculptures and architectural deconstructions. There is also a great deal of creative recycled urban furniture to keep an eye on not to mention some amazing works of recycled architecture created from bottles, cans, tires and basically any scrap that one can find in bulk.